It’s the age of ‘perfection’. You need everything in time and with comfort. And same is the case when buying any product or service in person or online. Online business is directly proportional to the theme that is showcasing the business. Customers use various devices like smartphones, desktops, tabs etc. So, your website should fulfil the requirement of being responsive and change with every screen size. 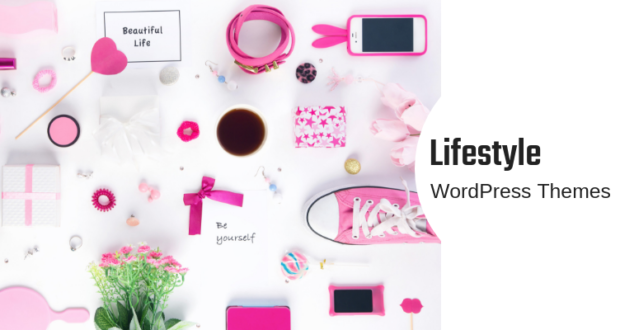 So, here is one excellent and free option for your personal blog, creative website, business website – iFeature – A Free blogging WordPress theme. 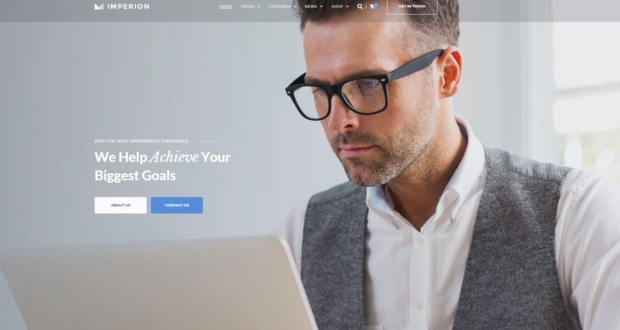 The theme design for iFeature is responsive that is, the adaptable or adjustable web design which modifies itself according to the various screen sizes of the variety of devices which is now offered by most of the WordPress themes. All the contents remain same. The theme adjusts its resolution, image size and structure according to the devices like iPhone, Android or Kindle. With the Responsive feature, this theme is preferred by the Google Search Engine. All these websites have the same URL and HTML across all the devices. It incorporates social sharing so, one can share the links easily. Thus, it reduces the time required for various activities. Moreover, it increases the number of viewers who end up purchasing the products. So, use of responsive sites can improve your conversion rate. How does the theme look? Below is the homepage of ‘iFeature’ theme by CyberChimps. This is the most simple yet elegantly designed theme best suited for magazine type businesses. It can also be used by bloggers, traveloguers, photographers or the businessmen. 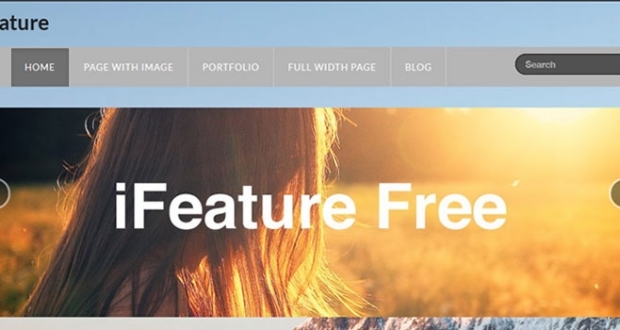 This iFeature theme is freely available WordPress Theme. This theme used for creating various posts like blogs in the form of articles, stories or narrations. You have a choice to add the image to the article. The articles which seem to be more finished with the attached picture are displayed using the page with the image. This theme is the very well-developed theme for authors or writers. Many times, words are sufficient to create a picture in our mind. For such write-ups, there is hardly any need for image or other attraction. In such a case, you can use this page of the theme, where full width can be used for the article. On this page, you can see all your posts. You can see the featured posts, the posts with or without images, the date, writer and comments if any. Responsive Design: the theme is adaptable to all the devices and thus, it reaches to everybody. 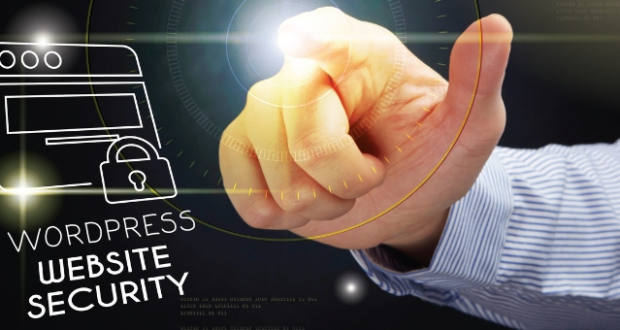 The content can go really, viral with this type of design, as there is no restriction on the use of the specific device. 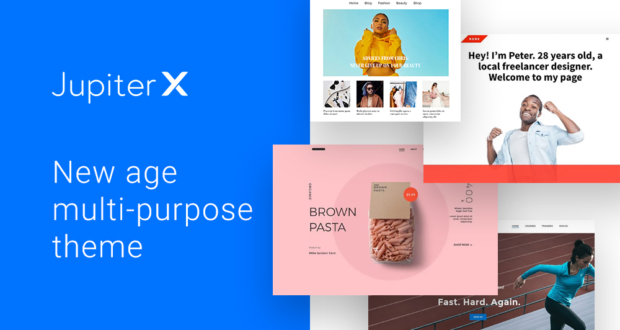 Drag and Drop Elements: This system helps the theme to drag and drop display various elements on the layout. 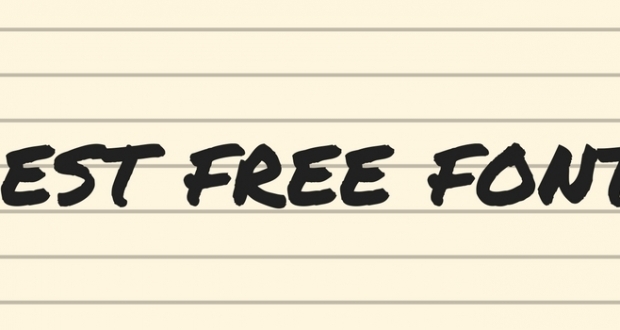 It helps the entrepreneur to showcase their featured blog posts. 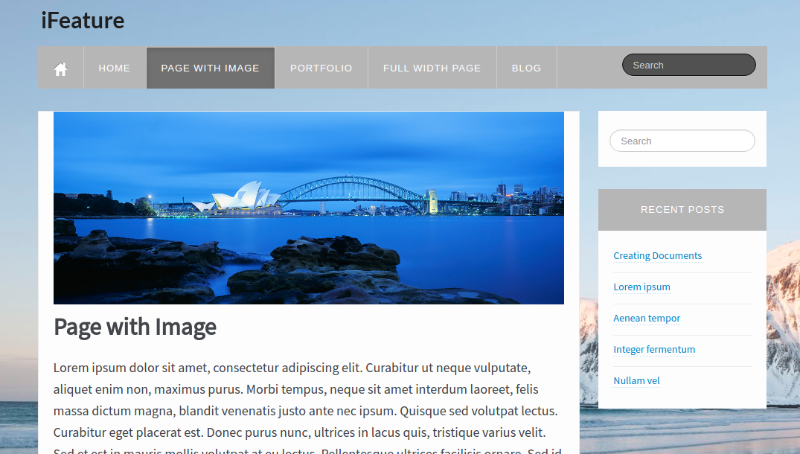 Slider images: The theme provides an option to customize the slider images as per owner’s wish. Slider bar layout: This theme has slider bar multiple layout options. Customization: The theme has visual theme customizer and options to customize the colors in the theme. 9 different color skin options are available. Moreover, it has 4 different template options for customization. Multi-lingual Support: This theme helps the website owner to translate the site into 18 different languages. This helps to cross the boundaries and increases the reach of content and the number of viewers. Thus, it is a translation ready theme. 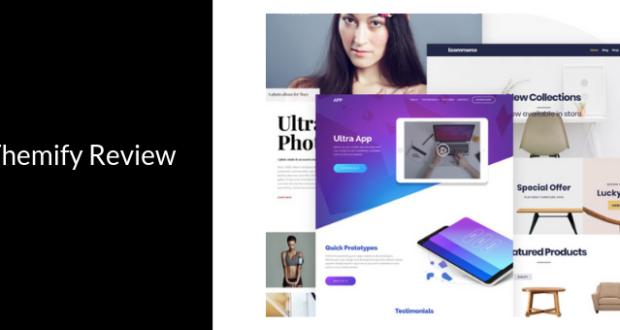 Retina ready: The theme is made up of sharp elements and beautiful look which helps it to be optimized for any device and look equally good on all the devices. Now, let us check few user-friendly details about customization of the theme. This theme allows a lot of customization with the appearance. 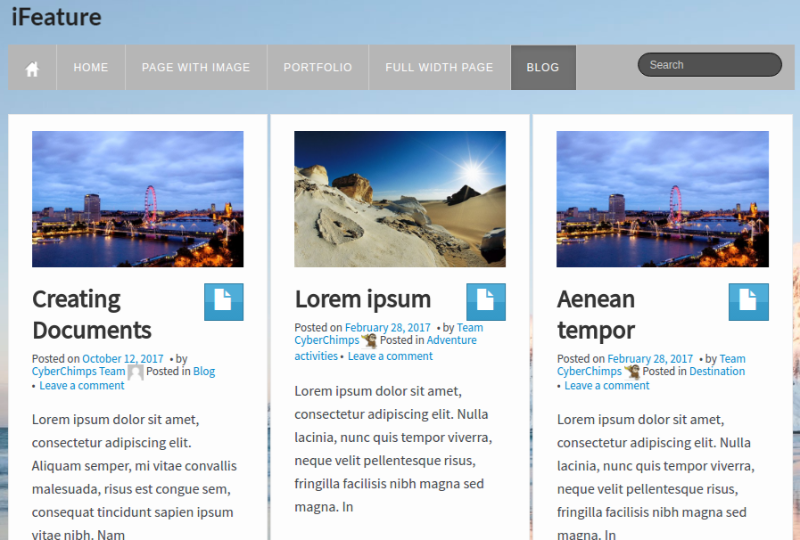 You can edit the Design, Blog, Templates, Header and Footer options, You can save the options and get the site updated. This is how the screen looks when you click the Template option, you can either enable or disable various options for your layout for the single post. You can enable featured images or post format icons. You can either enable or disable posting byline author, date, categories etc. With this option, you can drag and drop the header elements. With this option, you can customize the logo. You can select the social icon style and enable the social handles as per requirement like Twitter, Facebook, LinkedIn etc. you can enable or disable the footer settings and can display the footer copyright text. Simply save the options and you can update your site. This option from the dashboard allows you to enable or disable Responsive Design, Responsive Videos, Gallery Lightbox or a wide sidebar. You can set maximum width as per your requirement. You can customize the colors including text, links, menu option colors like menu background or menu text color. There is an option for Typography settings, wherein you can select the font, font size and resolution of the font. This option from appearance allows you to drag and drop the layout elements as per your convenience. From the blog options, you can either enable or disable Blog title, format icons, Featured excerpts, Blog byline authors, categories, date, or tags. 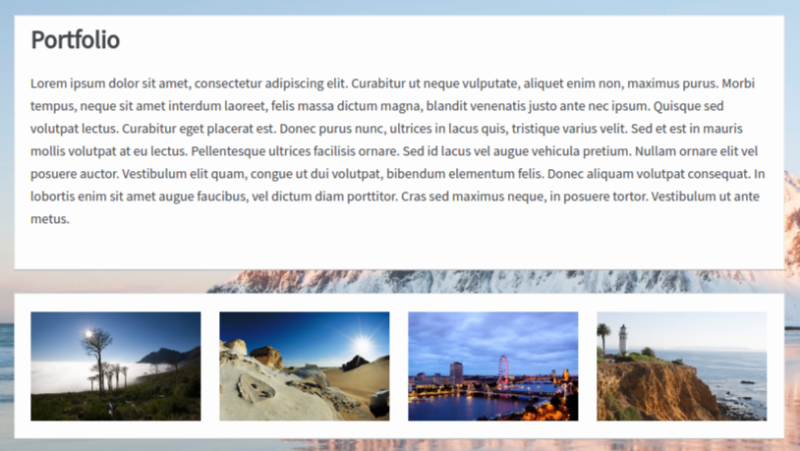 One more beautiful option is Blog Slider Lite, where you can upload the file or enter the URL as slide images. In this theme, you can add up to three images of the featured elements. iFeature Pro 5 version is upgraded for more number of such images. In Boxes Lite, you can add up to three images and attach link URLs to the blog posts. Again, this feature is limited to the free theme for 3 boxes. But you can upgrade the theme to iFeature Pro 5 and create a number of boxes. With this option, you can add on certain elements like events calendar. You can install this plugin and use as per requirement. You can also download the digital download settings. 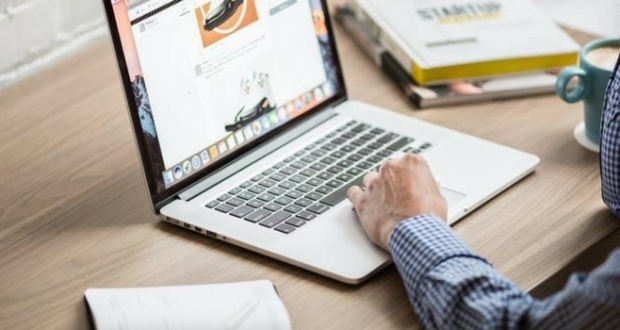 People spend comparatively more time and money to beautify their sites and improve the customer experience. iFeature is one such option that will help you impress your customers with an elegant design. 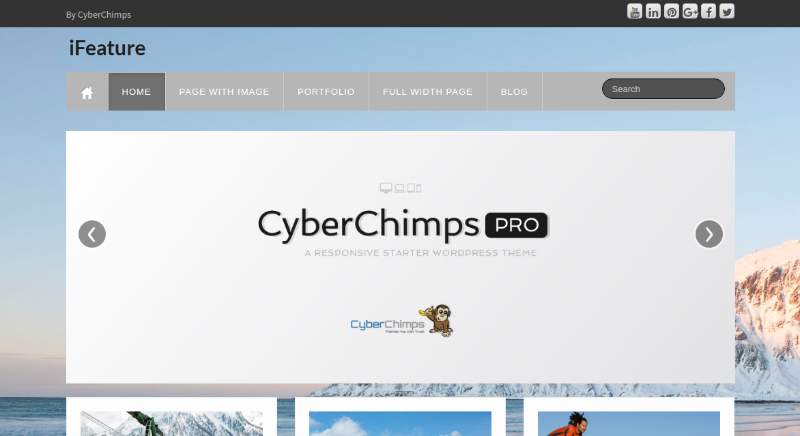 So download CyberChimps’ iFeature theme which is freely available WordPress theme. You can also opt for iFeature Pro if you are looking for advanced options in this theme. So why wait? Get started now. Happy Blogging.